[0:59] <tchiwam> What's the best distro to have any kind of opengl support, if at all possible ? [1:07] <shiftplusone> as far as full opengl goes, it's still WIP. [1:09] <forest> _pash: I was just starting to play with lirc on OpenELEC last night, and I got as far as you: output from mode2 but not from irw. I don't know when I'll get time to investigate further, but if you'd like to send me an email address, I'd be happy to send you a note if I figure something out. [1:12] <forest> _pash: No problem. I just copied your address into my openelec notes, so I'll see it next time I poke around with lirc. [1:35] <mijk> does the raspian image work with the first pi or is it just old news? [1:52] <teknic111> is there a distro out there that combines both kodi and retropie? [2:07] <shauno> retropie does in recent releases. if you sudo ~/RetroPie-Setup/retropie_setup.sh you should find kodi under "experimental packages"
[2:39] <googs> can some1 tell me what the CONFIG_PLATFORM_ARM 'type' might be for a wifi dongle makefile selection by chance plz ?? [2:42] <googs> ANDROID_X86 platform ? [4:20] <googs> 523 users and your all AFK ? [6:22] <googs> do you have time to help a noob ?? [6:23] <dashed> googs: just ask the question. don't ask if you can ask. [6:23] <googs> i bought a wifi dongle..
[6:27] <googs> but dont know what the CROSS_COMPILE path needs to be, nor the KSRC path..
[6:27] <googs> i assume the KSRC path is the path to Pi's kernel ? [6:27] <googs> or is there more than 1 'kernel' ?? [6:28] <dashed> what are you trying to do? [6:28] <dashed> getting wifi to work? [6:28] <Froolap> which dongle, and which os? [6:32] <googs> when i run the network manager theres nothing listed ? [6:33] <dashed> are you using GUI? [6:41] <googs> hmmm, device 6 is a Realtek device, whats the Pi nics chip ? [6:42] <googs> the make file had PC-Linux set as the default, would that suffice ?? [6:43] <googs> i woulda thought that would be a different platform..
[6:43] <dashed> what make file? [6:46] <fthc> can I talk about something totally unrelated to raspberry? [6:47] <Froolap> sigh. I ran across a dongle like that, had a realtec chip (not the same one) Bottom line, The driver was written against a kernel about 2 years old, and would not compile against a current kernel, and the people writing the driver no longer maintained it. so.... out of luck. [6:48] <Froolap> did your cat catch any cat fish? [6:51] <googs> where do i find the kernel ? [6:53] <googs> no thats your brains..
[6:55] <googs> so u think i should just make, with PC-Linux selected as the platform ? [6:57] <googs> how can it scan if its got no driver to operate the dongle to scan with ? [6:58] <googs> if the driver was in there, shouldnt the device be listed in network manager ??? [7:00] <methuzla> googs which is? [7:01] <dashed> googs: what does lsusb output? [7:01] <methuzla> googs and can you pastebin the output of dmesg? [7:02] <dashed> err... i mean the output like this: "Bus 001 Device 004: ID 0bda:818b Realtek Semiconductor Corp."
[7:03] <googs> methuzla - never used pastebin (yet), i will run dmesg, maybe i can get output to usb to here to get it there..
[7:04] <googs> Bus 001 Device 004: ID 0bda:818b Realtek Semiconductor Corp.
[7:04] <dashed> i googled "8192eu raspberry pi"
[7:05] <dashed> I probably can't help because I never had to compile a driver for wifi on linux before. [7:15] <googs> hmmm thanks dashed, i think im gonna have to go find some Kernel source headers, and build the driver, like i thought..
[7:16] <googs> which means i would have to rebuild the driver again down the track, dont wanna end up here again..
[7:18] <googs> so am i right in thinking, i just gotta get used to where everything is ? [8:31] <pseydtonne> man, it's so loud in here. Anyone need Raspi help? [8:36] <pseydtonne> Decent, still adjusting to fatherhood. It's not yet midnight here. [8:36] <knightwise> ah , you became a dad :) Kiss your geek-spare-time goodbye then :) how old is the little code-fork ? [8:36] <pseydtonne> in two hours he'll be a week old. [8:37] <pseydtonne> Yeah, this is the first day I could consider myself having spare time. He's finally eating effectively. [8:38] <pseydtonne> My poor wife has it a lot worse. She is the food source. I get to sleep through a sizeable portion of the night. [8:38] <pseydtonne> Don't they use the SD micro cards? [8:39] <pseydtonne> I wound up with a bunch of the partial-height adapters for my Pi B. [8:40] <pseydtonne> Would it be heretical to mention the advantage of the BeagleBone Black? It takes microSD cards but also has eMMC. [8:41] <pseydtonne> but yeah, get a 16 GB and have a ball. Any immediate plans? [8:42] <pseydtonne> You back up your in-laws? That's kind of you. [8:44] <pseydtonne> ah. One day they'll figure it out. "Awful lotta pr0n here... and kitties. Definitely my son-in-law." [8:46] <pseydtonne> How are you sustaining the IP address from them? [8:48] <pseydtonne> So their side listens for your torrent. Brilliant! [8:49] <pseydtonne> ANything interesting this evening? [8:51] <pseydtonne> So it's true: Rust never sleeps. [11:09] <Bhaal> Xark: How so? [11:10] <Xark> Bhaal: That is unlikely to be a priority for the foundatation. [11:11] <Xark> Bhaal: Most users won't care, I suspect. [11:12] <Bhaal> Xark: Why the opposition? [11:13] <Xark> Bhaal: Not opposition, just don't think it matters much to RPi. [11:13] <Xark> Bhaal: Then go ahead. [11:15] <Xark> Bhaal: I don't disagree, just I think that ship has sailed and they are unlikely to change now. [12:11] <unicodesnowman> Do I need a voltage regulator when powering the Pi off 4x AA batteries? [12:12] <ShorTie> does it supply more then 5.2vdc ?? [12:15] <Triffid_Hunter> Encrypt: one what? [12:41] <unicodesnowman> the DC toy / hobby motors are useless for driving any real load, right? [15:36] <krule> could anybody help me out please? [15:36] <Bilby> @ Krule hello. What lights are on? [15:48] <Bilby> krule, what SD card are you using? shipped NOOBS card? [15:48] <bshah> is there any guide to directly connect raspberry pi using ethernet? [15:50] <Bilby> bshah did you get help? [15:50] <Bilby> okay, how did you write the image? [15:53] <Bilby> krule what OS? [15:59] * shiftplusone goes to take it down. [16:02] <Bilby> shiftplusone is that your site? [16:02] <shiftplusone> as far as minimal installs go, I vote raspbian-ua-netinst. [16:03] <shiftplusone> Bilby, yeah, but it's pretty much abandoned... just serves as a reference, I guess. [16:14] <Bilby> that sounds more promising. any video? [16:16] <bshah> so I am following this guide http://codylittlewood.com/how-to-setup-raspberry-pi-via-ssh-with-arch-l/ and when I do ping -b <broadcast addr> I get no reply; what could be cause? [16:17] <jjido> Do you use a wired connection ? Did you test it? [16:18] <bshah> If I am correct; that guide is for direct ethernet connection right? [16:25] <jjido> Maybe it does not get on the correct subnet? [16:26] <bshah> how do I figure out? [16:28] <jjido> What did ifconfig return? [16:33] <jjido> Sized for a CD? [16:46] <krule> is there a list where i can list monitors that arent compatible? [17:19] <knightwise> anybody seen any cases for the raspberry pi 2. or lego plans ? [17:20] <Bilby> heller\, the datasheet says "KA0066 or Eqv"
[17:21] <Bilby> DB0 - DB7 are labeled "Data Bus"
[17:22] <Bilby> Has anyone come across a project to measure mains voltage with a raspi? [17:22] <heller\> wil these work with those lcds? [17:24] <heller\> Bilby: on which one? [18:16] <shiftplusone> Yup, you're in the right place. [18:17] <allyourbase> I'm looking forward to a lot of learning and new input. 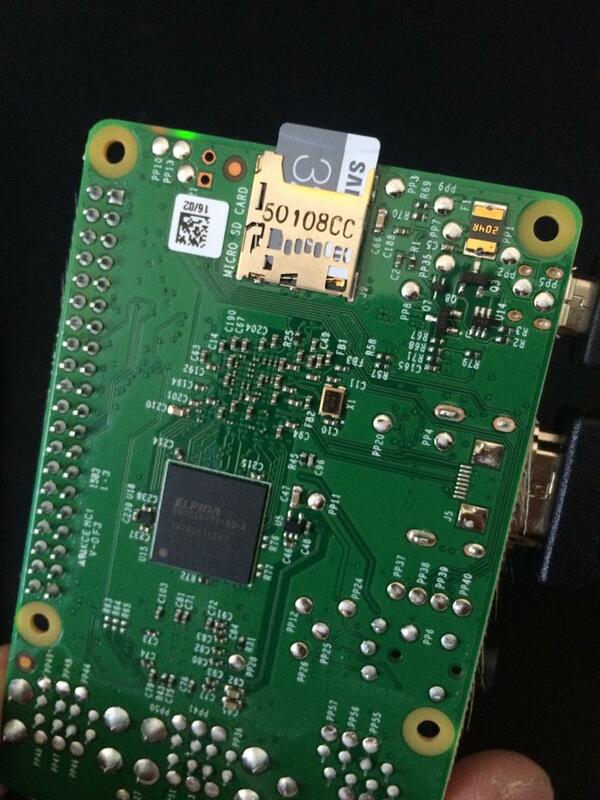 I'm also curious how the RasPi community is, in general. Didn't have much of a look into the several communities, but from what I saw, they seem to be quite responsive and helpful. [18:18] <allyourbase> Don't have any specific use for the box, yet. I'm just loving the GNU/Linux operating systems, and I liked the thought of having this in a small, noiseless box. [18:26] <shiftplusone> Have you joined the forum? [18:27] <shiftplusone> It's a lot more active than this channel, but this place isn't bad either. [18:29] <Bilby> allyourbase, we're all horrible people. sorry. [18:31] <shiftplusone> paintbrush... solitaire... what more could you want. [18:31] <shiftplusone> minesweeper... can't forget that. [18:32] <shiftplusone> I think win95 can be installed too, but the drivers are iffy. [18:33] <allyourbase> How often did my wife comment on my newest achievements with "I just don't see the benefit compared to doing it the usual way!" [18:33] <shiftplusone> It's along the lines of "Yay, it only took the whole day to boot, now I can play <insert something they can't actually plan>. [18:41] <allyourbase> And now, my father-in-law just came in, saw the ./compile output from VLC on his tv screen and asked "wtf, is my tv broken??" - I see, the RasPi will bring me a lot of fun. Already does. [19:03] <Sonny_Jim> Anything that's not a GUI = "OMG HaxX0r!!!" [19:04] <Sonny_Jim> I mean, how am I supposed to read information if it's not presented in a cute little window? [19:08] <fluxtro> So I just bought a pi 2 and I believe I've set everything up. What does it mean if the green light burns for a few seconds and then goes off while th red one remains on? [19:09] <ozzzy> you have a proper SD card in it? [19:09] <Bilby> what distro / how did you write the SD? [19:11] <ahop> Can I use GPIO as a serial port? [19:12] <ahop> Bilby can I connect these pins to this display that way? [19:15] <ahop> Bilby what do you mean by LV-TTL 3.3V ? [19:15] <ahop> do you mean I should avoid certain pins on GPIO ? [19:16] <ahop> shiftplusone where? on the pi? or on the 7segment display? [19:18] <Bilby> From the guide: The S7S can be powered from a variety of voltage supplies. It can operate at anywhere from 3.0V to 5.5V. [19:18] <ahop> so I won't send anything to GPIO, right? [19:19] <Bilby> I'd check the documentation, if there is no data that is ever returned from the display you may be able to just leave the Display -> Pi connection off and be "okay"
[19:19] <ahop> but with 3.3V instead of 5V, right? [19:20] <ahop> and RX (display) ===> GPIO (TX) , right? 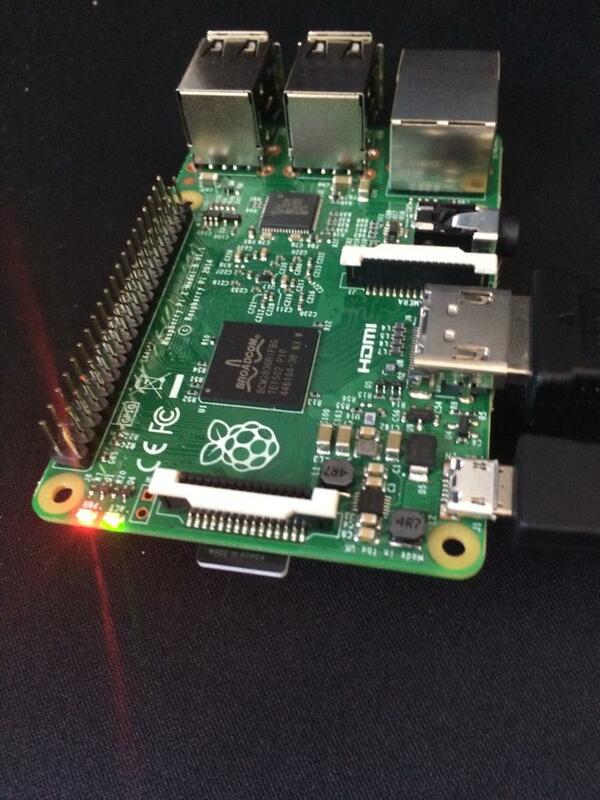 [19:21] <ahop> Do you use RPi.GPIO python? [19:27] <ahop> but now, how to send the data with Python? [19:28] <ahop> Chillum so I'll use pin #8, right? [19:40] <Chillum> are you using AT commands or lua scripting? [19:44] <ahop> what does write(...) do in https://github.com/kigster/sparkfun7SD/blob/master/Sparkfun7SD/Sparkfun7SD.cpp ? [19:44] <ahop> where (on which output buffer?) does it write? [19:45] <ahop> Chillum but where is that configured? [19:53] <Bilby> how is the camera triggered? [20:03] <Bilby> Initial Operation Time 10msec Max. [20:06] <ahop> echo ... > /dev/... ? [21:00] <niston> that a sound chip ? [21:02] <niston> check the datasheet? [21:06] <niston> "polymerization" under "low level functions"
[21:08] <niston> err " Support MIMO 1x1"
[22:08] <ahop> Is there a GPIO pin 5V or 3.3V that I can set when I want (ie not on boot) ? 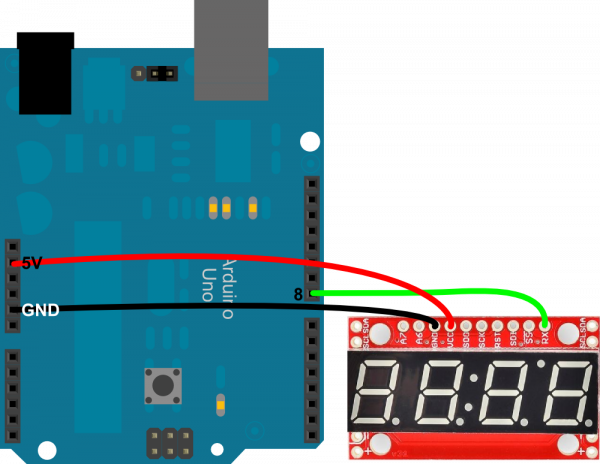 [22:10] <ahop> So I'd like to set the display ON only when my Python code comes... Is there a +3.3V that is default to OFF, and that I can power on with my code? [22:15] <ahop> Isn't there a way to prevent TX to send random values at RPi boot? [22:16] <ahop> what does it send random values btw? [22:18] <ahop> oh really? what board? [23:29] <acspike[pi]> hello, everytime I visit pistore a bunch of terminals open for installing apps. is this expected behavior? [23:32] <Bilby> acspike[pi] you're getting terminals opening when you're visiting a website? [23:32] <acspike[pi]> Bilby: no in the pistore application "My Library"